Warming Solutions Act of 2006 (AB 32). The landmark AB 32 bill, set to go into effect in January 2011, requires the state to cut down on greenhouse gas emissions to 1990 levels by 2020. It is, unsurprisingly, disliked by oil companies who have everything to lose from a cap on fossil fuels. That’s why oil companies like Valero, Tesoro, and Occidental have spent $2 million to ensure that Prop. 23 passes. 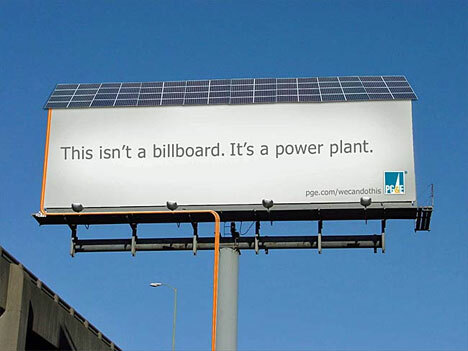 But as PG&E demonstrated with its failed $46 million campaign for Prop. 16, money doesn’t always buy votes. It makes sense for PG&E to oppose Prop. 23. Besides the fact that it’s good publicity, PG&E has millions invested in solar companies like SunRun and Solar City, and the utility is a longstanding supporter of clean energy legislation. And we certainly don’t begrudge the utility’s support of the anti-Prop. 23 movement–Big Oil is a tough enemy to defeat. We shouldn’t forget, however, that PG&E is a business with specific interests to protect. Some of those interests align with those of clean energy advocates, and some just don’t.